Now that we're past Memorial Day, it's time to start looking at what's out there for summer music festivals. We're going to skip the major national ones, because you already know about them, and their line ups keep getting less and less interesting every year. Plus, you'll be roughly 1/4 mile from the main stage, anyway. Instead, here are some of the more interesting, smaller music festivals in the Northeast (since that's where we're located)! Peterborough, NH may not seem like the hippest town out there, but somehow they get some of the best indie bands together for a music/film/arts fest every year. This year, they include virtually all genres: noisy indie rock, folk, hip hop, etc. Some of our highlights are Sammus, The Huntress & Holder of Hands, Giraffes? Giraffes!, Wooden Dinosaur, and, closing out the festival, the double bill of Iris Dement and Bonnie Prince Billy. They somehow keep weekend passes at $50, and even have some pay what you can outdoor performances. 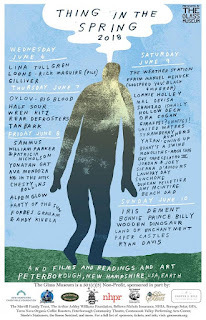 This festival started way back in the 60's as a way to help Pete Seeger with his mission to clean up the Hudson River. Each year, they bring together some of the most interesting musicians in the folk category together for this purpose. If anything, they may have too many performers. Right now, they have 56 artists on their website for a two day festival. 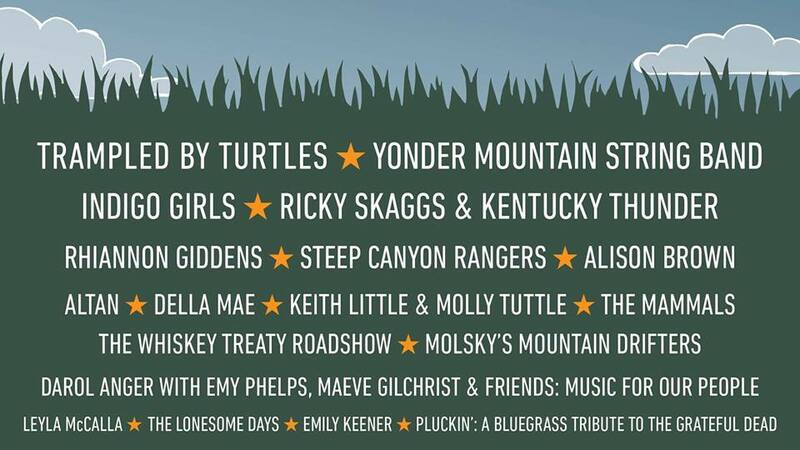 But, with a great cause, and performers like Jeff Tweedy, Ani Difranco, They Might Be Giants, Rhiannon Giddens, Beth Orton, Langhorne Slim, Margaret Glaspy, and Parker Milsap, this one is worth you attention. 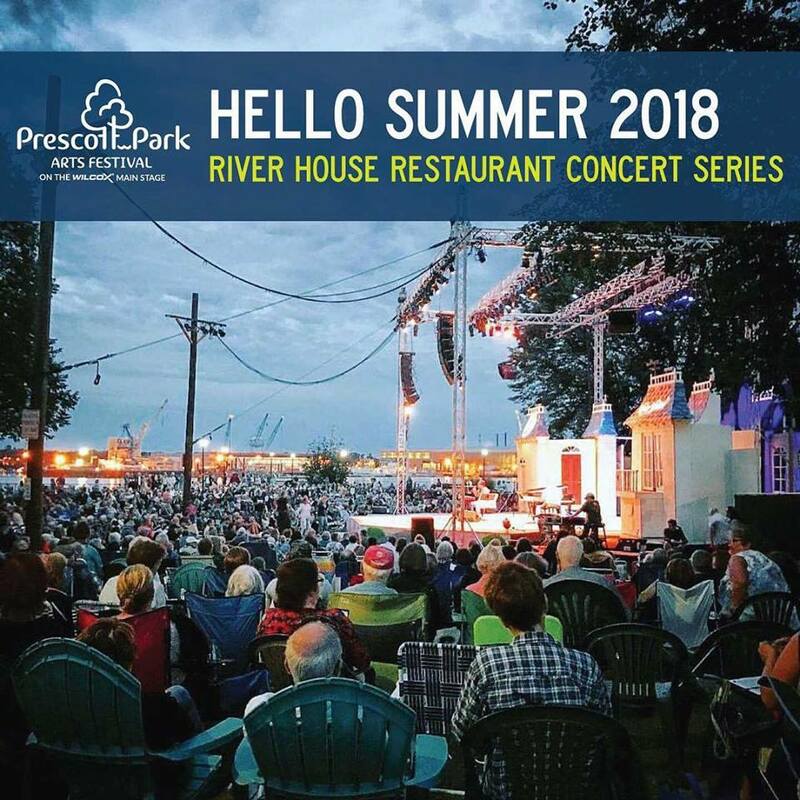 This might not be a traditional music festival in the see a ton of bands in a few days sorta way, but Prescott Park has been one of my favorite things about living in New England the past few summers. For a $7 suggested donation, you can hang out in a public park and enjoy some of the best internationally travelling musicians you can think of. It's a perfect way to introduce your kids to live music, and I truly wish the city of Portsmouth appreciated this gift more. 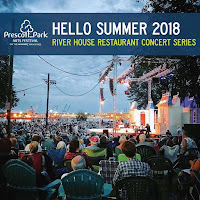 2018 may be their best year yet, and some of the highlights are Ani Difranco (June 15), The Ballroom Thieves (June 27), I'm With Her (July 8), M. Ward (July 15), Billy Strings (July 25), Julien Baker (August 1), Band of Horses (August 11), Mavis Staples (August 16), Shovels & Rope (August 31), and Steve Earle (September 1). Way out in Western Massachusetts at MassMoCA, they put on one of the best bluegrass based festivals in the country. If you have any kind of fondness for modern day Americana, you'll find something to love here. 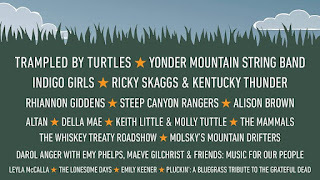 This year is another ridiculously great line up, featuring Trampled By Turtles, Indigo Girls, Rhiannon Giddens, Steep Canyon Rangers, Leyla McCalla, and more! Plus, you get admission to the ever changing and always amazing MassMoca galleries. 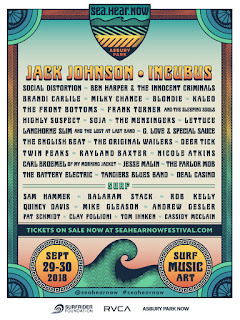 It might have an awkward name, but the inaugural Sea.Hear.Now festival has one of the more interesting line ups I've seen in years. By the looks of it, they're catering to those of us over 30. If you ignore the headliners of Jack Johnson and Incubus, they're bringing together some of the more interesting bands that tend to attract hippies (Ben Harper & The Innocent Criminals, G. Love & Special Sauce, The Original Wailers), bands that lean more towards classic punk (Blondie, Social Distortion, The English Beat, and some of the best in modern Americana (Deer Tick, Frank Turner and The Sleeping Souls, Brandi Carlile, Rayland Baxter). Plus, two of the stages are right on the ocean, which could be amazing or a nightmare considering late September is right in hurricane season. 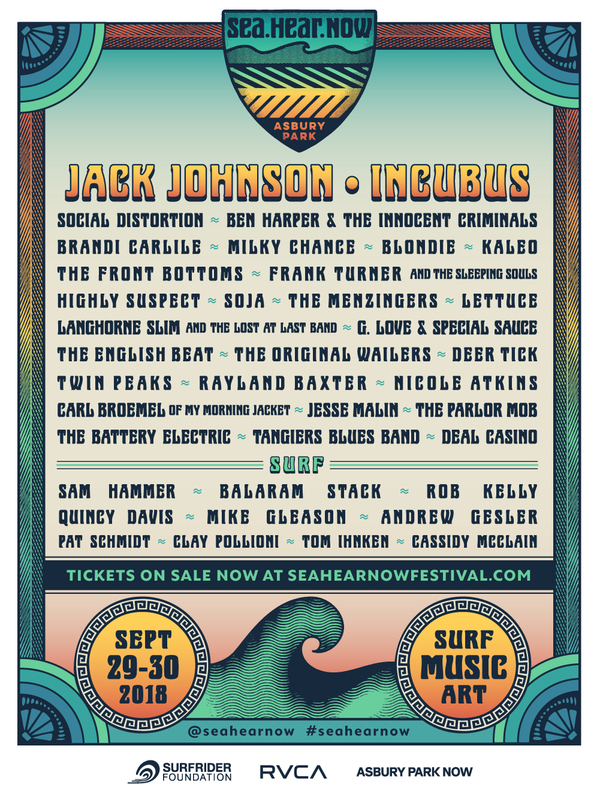 With this line up, we'd roll the dice, especially to hear Langhorne Slim play his ode to the Jersey Shore on the Jersey Shore.